A rhyming, triple-timing celebration of hip-hop. Rhyme it, love it – and don’t stop! 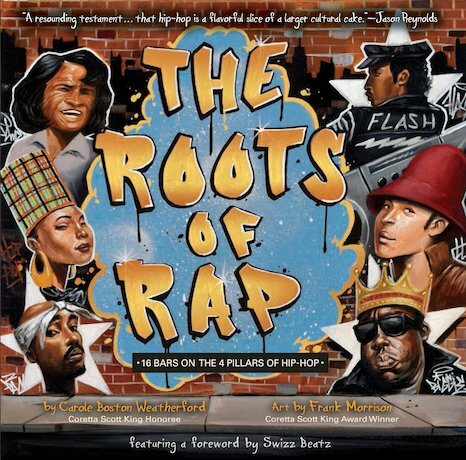 Who are the founders of the hip-hop nation? Find out in this dynamic, original picture book. Did it start with Grandmaster Flash and DJ Kool Herc? Yes it did! But it also started way before that! Folktales, spirituals and poetry. They were the roots of rap. Legendary soul man James Brown. He was a deep root, as well. Oh, and what else? Graffiti! Break-dancing! Rhythm! Scratching! Flow! A language of music spoken all over the world. Get your back up off the wall. Let your rhythm show.